First, our clients need to ensure that their choices will positively bring improvement in their family's lives and lifestyles. Secondly, they need to ensure that they employ the right people who have the necessary knowledge, experience and skills to ensure among others, that government regulations and town-planning requirements are met. Your house plans should satisfy everyone involved. *Where applicable, a Structural Engineer is appointed and paid directly by the client. *Local Authority/Municipal Plan Submission Fees are paid directly by the client. 1. Consultation to discuss the client’s requirements; assess these and give general advice on how to proceed. 2. Preliminary advice on any need for specialist consultants (ie. Structural engineers, Surveyors, etc). 4. Review Town-planning information and guidelines from both the Local Authorities and Homeowner’s Associations (HOA) - where house plans are for a building in residential estates and complexes. a. Detailed and Dimensioned house Plans. 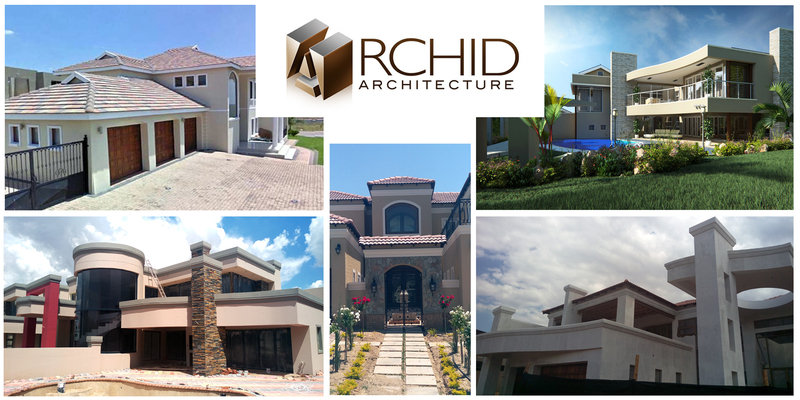 - A SACAP (For Professionally Registered Persons) Form – as per Architectural Professions Act 44 of 2000, Section 26(4) – to be signed by both Archid and the Client. - Local Authority/Municipal house plans submission fees – Calculated based on the area (m2) of proposed works - ie. City of Joburg: R18.00/m2 (2018). - A Copy of the Title Deeds - A copy of T/Deeds can be obtained from your bond financing Institution or transferring attorneys, A copy of the Company Registration Certificate must be attached if property is owned by a company. - HOA/Body Corporate's signature and stamp (If Applicable) on each sheet. - A Copy of the Title Deeds - A copy of T/Deeds can be obtained from your bond financing Institution or transferring - attorneys, a copy of the Company Registration Certificate must be attached if property is owned by a private company, close corporation or Trust. - A Signed copy of the House Plans. NB. This Schedule of Fees and Summary are For Your Information Only and serves only as a guide. 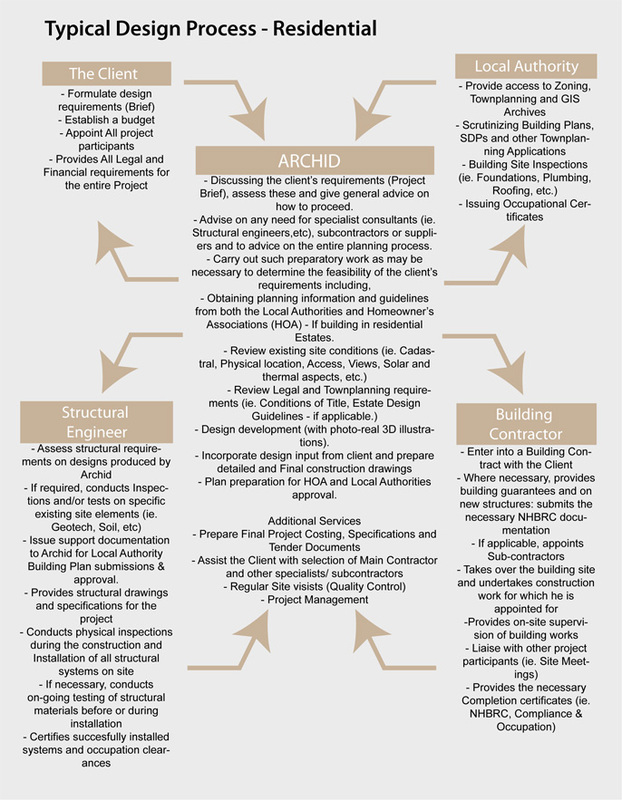 Archid Architecture will prepare a formal Fee Proposal based on individual Client’s requirements, extent of works and other specific circumstances. Plan runners are appointed by the client to undertake house plans co-ordination, submissions and tracking.